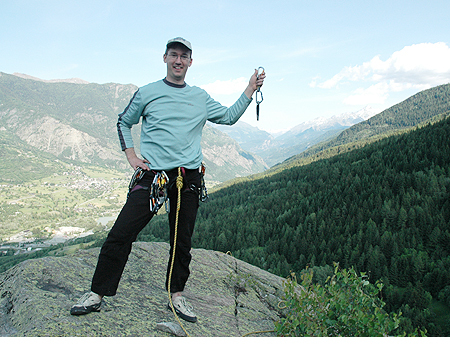 Photo #1: Ben came to rock climb and we did a fair amount high and low, despite a few days of iffy weather. Here we climbed the Aiguille de la Charlanon by the right butress, Eperon SSE de Doite. It was a great 8 pitch warm up climb that goes at 5.7. 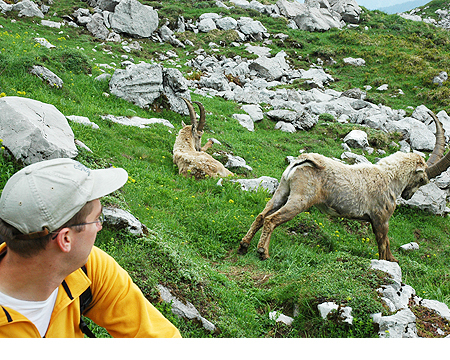 Photo #2: Then we went to the Col de La Columbiere and saw some Bouquetin or Ibex. 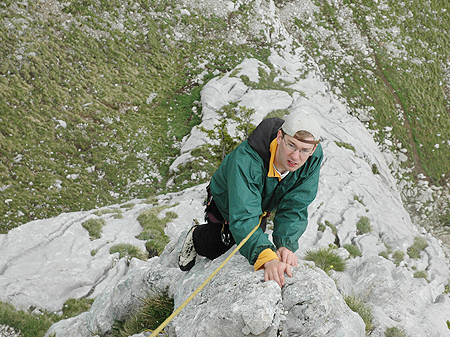 Photo #3: And did some climbing on beautiful limestone. There are single and multipitch routes with interesting texture due to the sculpting over many years from the elements. Photo #4: We also spent a day in Italy where Ben came away with a prize Piton to use as a paper weight. 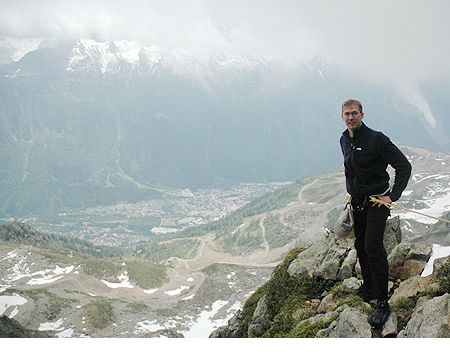 Photo #5: The most exciting climb for Ben was going up high and climbing the Arete des Cosmiques. Here is a shot from that day. 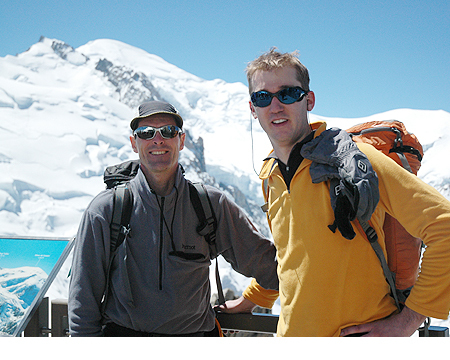 Ben provided these photos and enjoyed taking a high quality SLR digital camera with him on all the climbs.